What are the standard colour finish options? Insitu GRC furniture comes in a range of standard size and colour options. 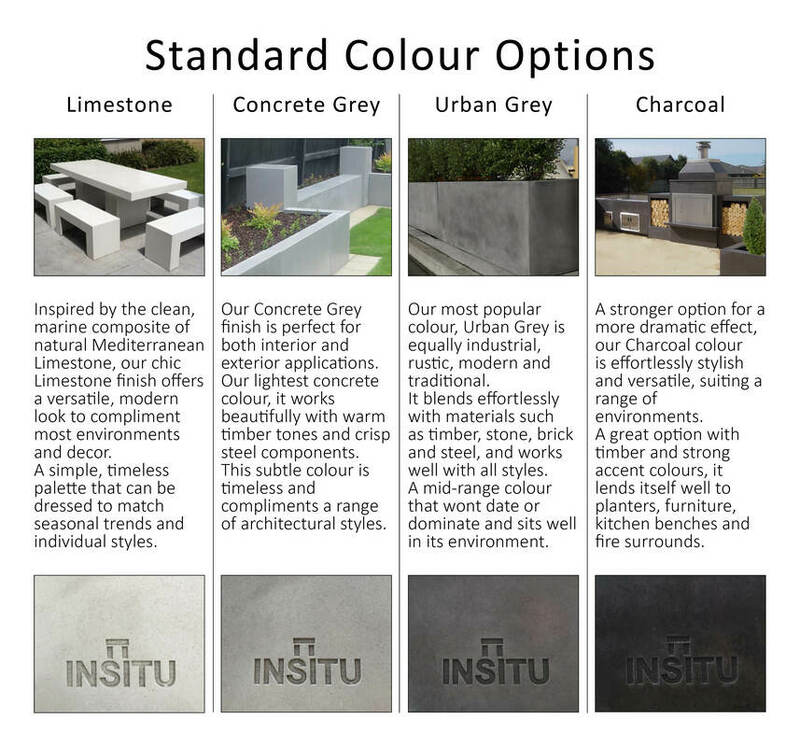 Our current standard colours are: Limestone, Concrete Grey, Urban Grey and Charcoal. Please refer to the colour swatch samples below. We can also provide full design and custom making services for specific sizes and colours. Please contact us to discuss your individual project requirements.